It has become a tradition for the Ali Center to show Martin Luther King, Jr.’s “I Have a Dream” speech to the community in recognition of Martin Luther King, Jr. Day. This year is no different. 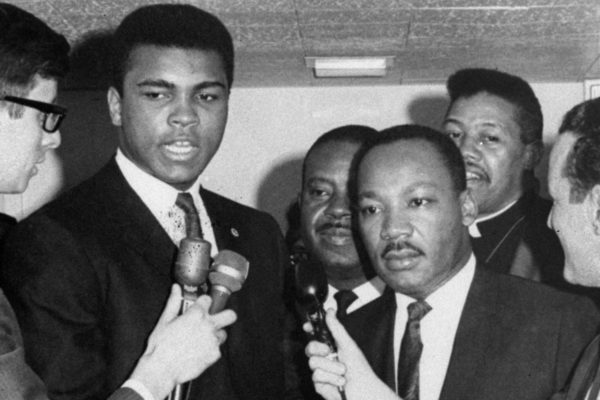 Join the Ali Center as it shows this historic speech at 11:00 a.m. A panel discussion, “Continuing the Dream, Living the Legacy” will follow the 11:00 a.m. showing. Members of the Muhammad Ali Center Council of Students will discuss how young people are continuing the work of Dr. King and Muhammad Ali in our community. Please join us (and bring a friend) for this free screening of one of the most powerful and significant speeches in the history of the Civil Rights movement. Film screening is open to the public. Regular ticket prices apply for exhibit admission.